It is midsummer of 1799 and the British Navy in the Mediterranean Theater of operations. Napoleon has brought the best soldiers and scientists from France to claim Egypt and replace the Turkish empire with one of his own making, but the debacle at Acre has caused the brilliant general to retreat to Cairo. Commodore Sir Sidney Smith and the Turkish army land at the strategically critical fortress of Abukir, on the northern coast of Egypt. Here Smith plans to further the reversal of Napoleon’s fortunes. Unfortunately, the Turks badly underestimate the speed, strength, and resolve of the French Army, and the ensuing battle becomes one of the worst defeats in Arab history. Young Midshipman Duncan Graham is anxious to get ahead in the British Navy, but has many hurdles to overcome. Without any familial privileges to smooth his way, he can only advance through merit. 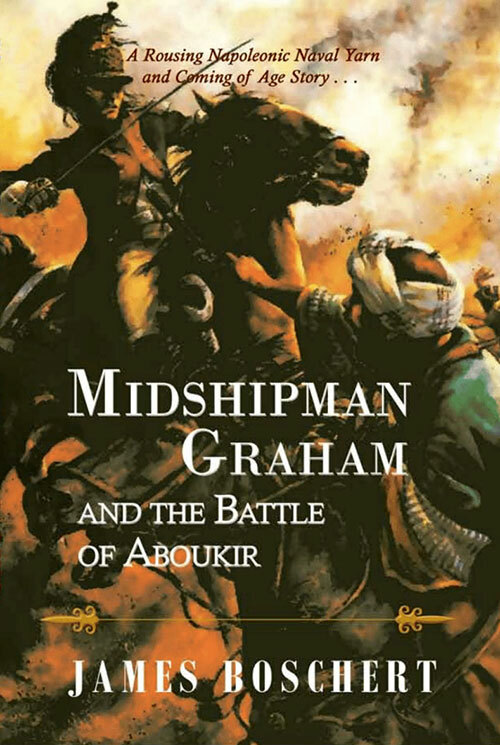 The fires of war prove his mettle, but during an expedition to obtain desperately needed fresh water – and an illegal duel – a French patrol drives off the boats, and Graham is left stranded on shore. It now becomes a question of evasion and survival with the help of a British spy. Graham has to become very adaptable in order to avoid detection by the French police, and he must help the spy facilitate a daring escape by sea in order to get back to the British squadron.